Picture this: A table full of mouth-watering appetizers, the smoker in high gear emanating a to-die-for aroma and your family and friends laughing around this beautiful custom-built fire pit. You may be surprised to know that when Archadeck of Columbus first consulted on this project, the lot only contained a beautiful new construction home surrounded with barren earth. This project was a true test of building from the ground up. With not even a single blade of grass on the property, we enjoyed designing how the landscaping would complement the hardscape design and how the hardscape would complement the home. This multi-function living this hardscape patio is chock full of design elements that are as functional as they are cohesive to the overall design. From the retaining wall that provides extra seating room to the extra wide fire pit cap for resting your beverage, this space was designed to deftly host larger groups as well as host intimate gatherings. 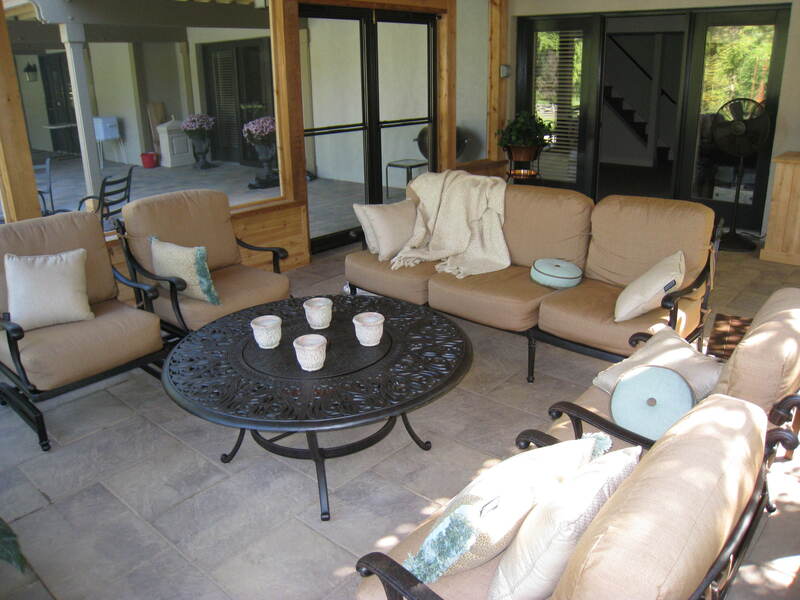 All can enjoy the perfect countryside setting with this delightful outdoor space nestled within this woodsy yard. Maximizing curb appeal was a must. The landscaping included a unique stone wall using chunky limestone of varying size. The landscaping includes terraced beds and select tree plantings creating a serene yet elegant feel in this space. This Columbus hardscape patio and fire pit was designed and built using Unilock Beacon Hill flagstone pavers with a charcoal Holland stone border giving life to the true rustic nature. The hardscape includes two distinct outdoor living areas including the seating area and the versatile outdoor living area anchored with the custom built fire pit. The deep neutral tones of the hardscape create a rustic elegance for this space. The design continues to the open porch on the back of the home. The porch provides a covered outdoor living area for those days where some sun protection is needed. A covered porch also provides a small amount of rain protection and keeps falling leaves out of sandwiches on the porch patio. Notice the complex roof attachment that was made to look easy through this design. We truly enjoyed starting fresh on this blank canvas of an outdoor space. With the freedom to design the patio, landscaping and open porch we were able to keep a cohesive theme throughout. If you’re looking to maximize your outdoor spaces give Archadeck of Columbus a call (740) 879 – 3730, or email us at westcolumbus@archadeck.net. We look forward to connecting with you. Rocking chair front porch of yesteryear. There are certain outdoor living structures that are just must-haves and porches have remained at the top of this list for generations. There is nothing more American than the porch. Whether used as a refuge from the elements, or a place to relax and make memories with friends and family, the porch is a classic outdoor structure that transcends time. 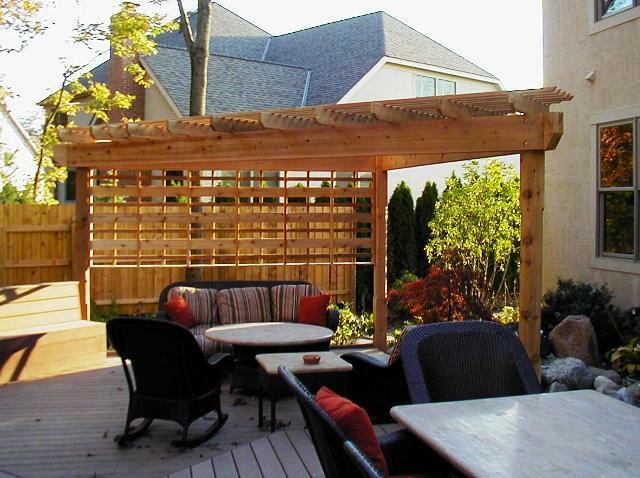 For over 15 years, Archadeck of Columbus has designed and built custom outdoor structures with functionality and beauty in mind for homeowners in the Columbus area. During our time in business few structures have remained as constant as the porch. Porches have been portrayed throughout history as a safe haven of protection from wind, snow, rain and nuisance insects and have been associated with the art of relaxation. An outdoor fireplace adds to the rustic charm of this wooden screened porch in Delaware, OH. Porches come in all shapes and sizes, and their benefits extend the entire circumference of the home and even within the landscape. From the traditional “rocking chair” front porch, the open porch, screened porch and even porches detached from the home and used in a variable setting within the landscape — all are endearing to Columbusites! This photo shows the lovely interior of this open porch we recently completed in Columbus, OH. 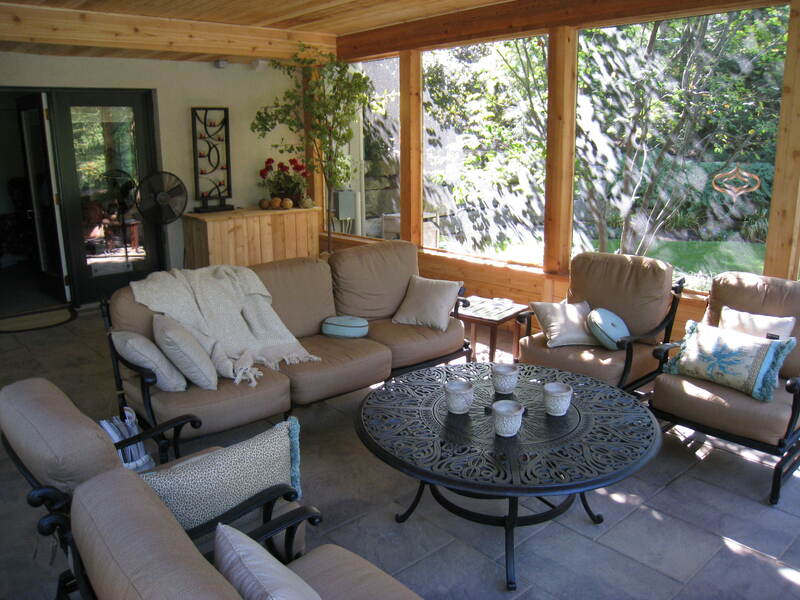 Archadeck of Columbus specializes in creating porches that are steeped in quality, beauty and overall outdoor enjoyment. We can deliver the beloved wooden porch of your past, or design your porch without the worry of constant painting or staining because of our diverse menu of low maintenance materials such as vinyl, PVC and other synthetics. We also pay close attention to the details that make each of our porches unique and superior to other designs. Our porches can be designed to include the modern conveniences that you yearn for such as ceiling fans, electrical outlets, recessed lighting and even an outdoor kitchen or fireplace. When it comes to choosing the details that set your porch apart from others, the world is your oyster. Archadeck of Columbus’ porches not only provide you with comfort and convenience, they can also improve your home’s curb appeal and increase your home’s value as well. If you are ready to transform that blah front exterior of your home, or are ready to turn your vacant backyard into an outdoor oasis, a porch is the perfect answer! 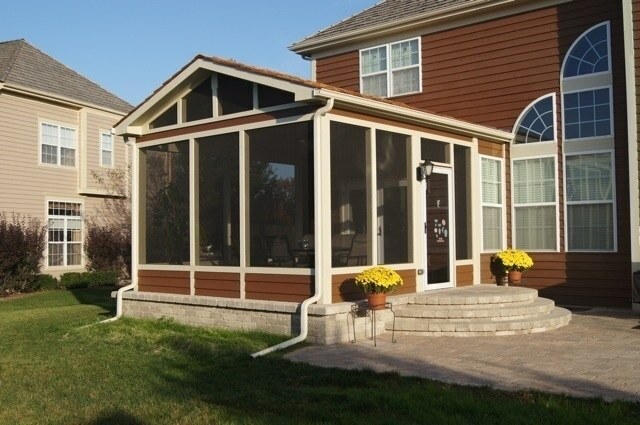 Contact us today to learn more about our versatile porch and screened porch designs at (740) 879 – 3730, email us at westcolumbus@archadeck.net or visit our website at columbus.archadeck.com. The path to outdoor living bliss is fraught with noise and dust! Customers always ask us how much interference the construction of their project will cause. This covers all aspects of disruption from personally and in respect to their lawn. My answer to this question is with any type of construction, home improvement or remodeling project interference is inevitable. Depending on the type of project and the specifics involved in excavation will determine how much damage to your turf will occur. The amount of time a project takes to complete and the weather conditions also play a huge role in damage to the turf. In regards to personal disruptions during your project: noise is something that is hard to avoid and will be a factor in having your project completed in a timely fashion. The type of equipment we have to use such as drills, power saws and hammers don’t have a quiet mode, we quite often wish they came with a volume control feature as well! We go the extra mile to try to make the disruption minimal and we work around our client’s schedules. One of the most important assets of working with a good company is that we recognize the disruption projects cause. We go the extra mile to try to make the disruption minimal and we work around our client’s schedules. 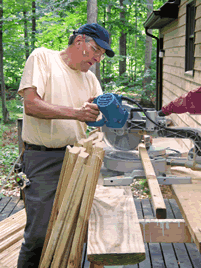 We are also more conscious of homeowners that work from their homes. We realize that your home is your castle, and our crews exercise the utmost respect and are dedicated to taking care of every aspect of your home to make the construction process as minimall invasive as possible. Our goal is to deliver a breathtaking outdoor space with minimal interference during construction. When loading and unloading materials we strive to establish a traffic flow that will create the least amount of impact and disturbance on your property. This includes using a one-way route around your house during the course of a job to minimize disruption of turf. We understand the need for heavy equipment and materials on your project and may even use wagons or wheel barrels to move materials to the area they need to be. We try to avoid the use of heavier excavation machinery and will only use smaller scale versions if the project absolutely depends on it, such as a mini Bobcat or skid steer. 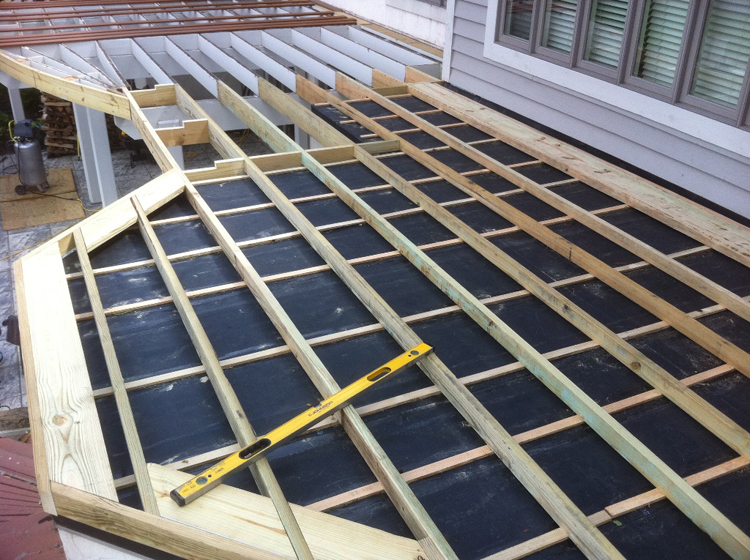 Our climate can lend itself to some really wet seasons, but there is nothing that will keep us from building your project within a wet year. Don’t let the weather be a deterrent because the sales process will take some time and we do everything within our power to avoid disruptions caused by weather conditions. If the ground is thawing from freezing conditions or is very wet we have a heightened conscience about the conditions of our customer’s lawns and will put down plywood between the material and jobsite to minimize turf damage and avoid rutting. In summary, during the time we have been in business we have only had to repair two (2) lawns due to damage incurred by inclement weather conditions during the construction process. By taking a proactive approach with these actions, 99% of yards will quickly recover in a month or so. 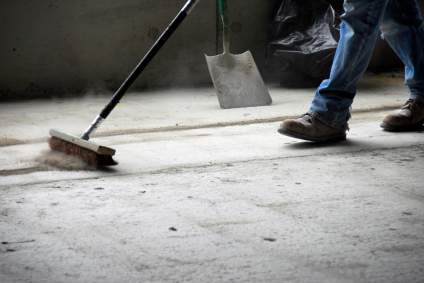 Daily cleanup is protocol on all our outdoor living space projects. Our project standards are also visible on the inside of our projects. Daily cleanup is protocol. We carry 50 gallon trash cans so when there is waste we remove it daily to avoid an unsafe or unkempt looking jobsite. In addition, we also use caution tape during construction when it is unsafe to traverse an area under construction. Obviously, dust is an issue with many of our outdoor living structure additions. This is especially the case when we use a partner saw to cut concrete pavers during patio installations. In these “dusty” situations we often post a “pardon our dust” sign to help warn (and apologize) to neighbors that are adjacent to your project. 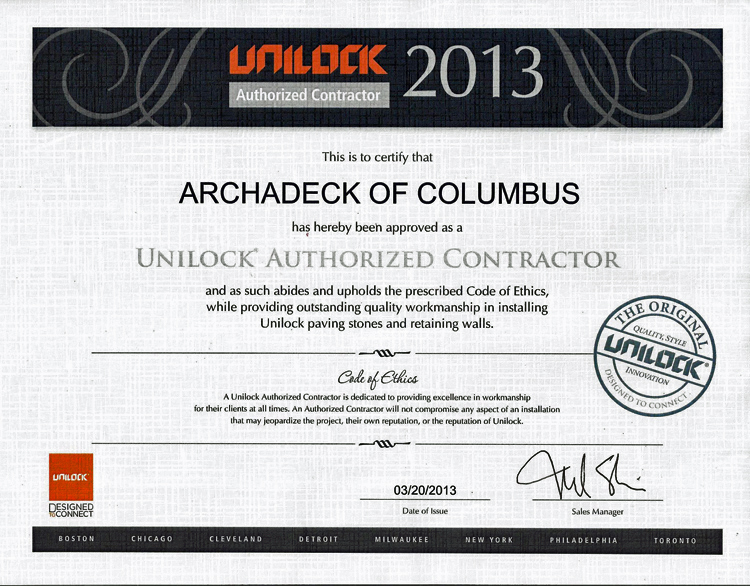 Archadeck of Columbus named Unilock Authorized Contractor for the second consecutive year! We are proud to announce that Archadeck of Columbus has been awarded the Unilock Authorized Contractor award for the second consecutive year! Each year, Unilock awards a few select contractors the esteemed Authorized Contractor status. Here in Ohio and Western PA, only 125 contractors were chosen from a list of 3,000 Unilock dealers in the region. We are proud to announce that Archadeck of Columbus has been named an Authorized Contractor for the second consecutive year! As part of being named an Authorized Contractor, we were also able to visit their plant that services the Ohio region. The visit was a very rewarding experience and we were able to see first-hand how their pavers are made. We were able to take a look at some of the new product line introductions and we are excited about working with their new products in 2014! Among the highlights of the visit was learning more about their Enduracolor line of pavers. Enduracolor pavers are made from high-quality aggregate including quartz and granite. The process involves making a standard paver first where the top layer is high-quality cement then adding a pigmenting layer containing minimal aggregate. The result is a paver that has a compression strength that is 10 times stronger than poured concrete and looks fantastic. 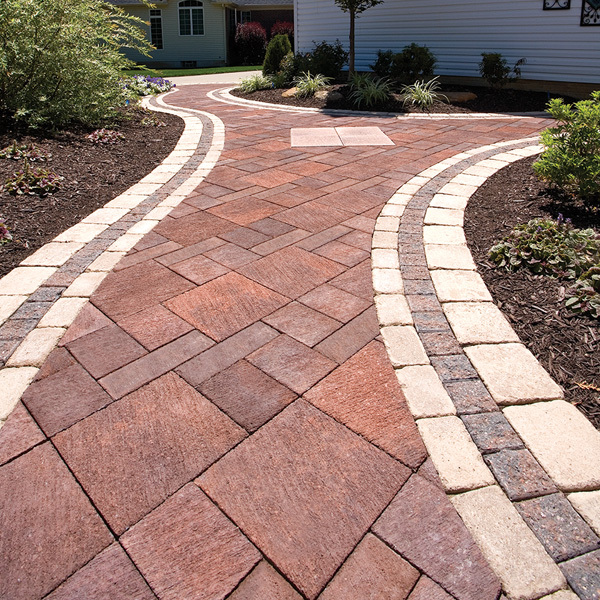 The Enduracolor line is definitely the “beauty and the beast” of pavers, as they provide strength and the aesthetics homeowners are looking for to use in their hardscape and patio designs. 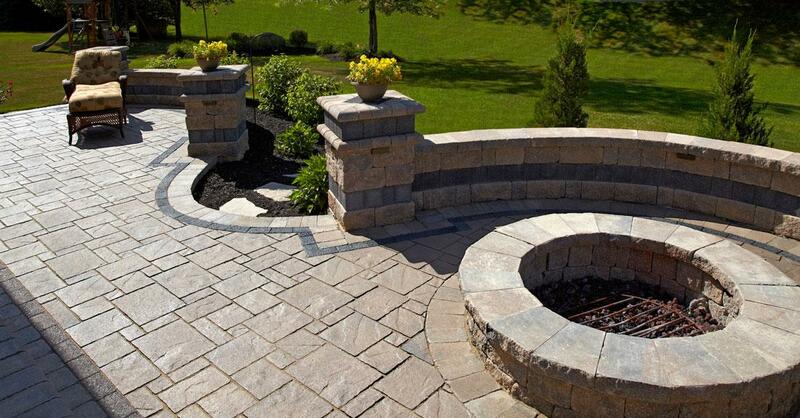 The Avante Ashlar paver features a random, interlocking appearance. Unilock started selling the Enduracolor line last year with a couple of products. They have introduced even more products to the line this year. The Enduracolor Plus line of products takes the concept a step further with the addition of natural stone like quartz and granite. The Enduracolor Plus colors in their ultra-high-end “select” line and include Richcliff, Umbriano and Copthorne. These pavers come with a guarantee from Unilock that their color will never fade. This walkway was built using EnduraColor in Il Campo — beautiful! In the Enduracolor line, the new color additions include from a khaki color all the way to darker brown which can be seen in their sycamore color paver. The trend to add darker pavers this year comes from the trend towards the use of darker colors within the market. The Enduracolor line includes Beacon Hill flagstone, Avante Ashlar, Il Campo and Thornbury. Here at Archadeck of Columbus, we use a lot of the Beacon Hill series in our hardscape designs. Beacon Hill is popular with our clients and comes in three beautiful colors, River, Sierra and the new introduction of Sycamore. As an authorized contractor, Unilock backs up our warranty for two years in addition to the strong warranties we already have in place for our customers! See our beautiful hardscape and patio designs by visiting our hardscape and patio photo gallery located on our website. Author archadeckofcolumbusPosted on February 5, 2014 February 6, 2014 Categories Archadeck of Columbus, Archadeck of Columbus Warranties, Awards and community recognition, Hardscapes, Paver PatiosTags Archadeck of Columbus chosen to receive Unilock Authorized Dealer award this year, Authorized Contractor award by Unilock, Avante Ashlar pavers by Unilock, Columbus OH hardscape designs, Columbus OH hardscape experts, Columbus Oh hardscaping trends, Columbus OH outdoor living trends, Columbus OH Patio Designs, Columbus OH patio ideas, Columbus OH retaining walls, Columbus OH Unilock Paver Patios, Il Campo pavers by Unilock, Paver patios Columbus, Unilock Beacon Hill Flagstone pavers, Unilock Copthorne pavers, Unilock Pavers, Unilock RIchcliff Pavers, Unilock select pavers, Unilock Thornbury pavers, Unilock Umbriano PaversLeave a comment on Archadeck of Columbus named Unilock Authorized Contractor for the second consecutive year!